A quiet day on the 9th was mainly dominated by the news of some successful breeding, of the 6 probable pairs of Little Ringed Plover at Wykeham South Lake 4 of them now have 11 young between them, while on the Grand Hotel the 'new' Peregrine pair have two young. Also on Wykeham South Lake were the Egyptian Geese, 3 Gadwall and 2 Teal were on Flotmanby and 2 Honey Buzzard were seen again in the Forest. The 10th was a very different day, the highlight, for one at least, was a BLACK STORK which flew south over Coldyhill Lane in Newby at 10.30hrs. This is the fifth record for Scarborough with all but one record falling between the 9th and 19th June! 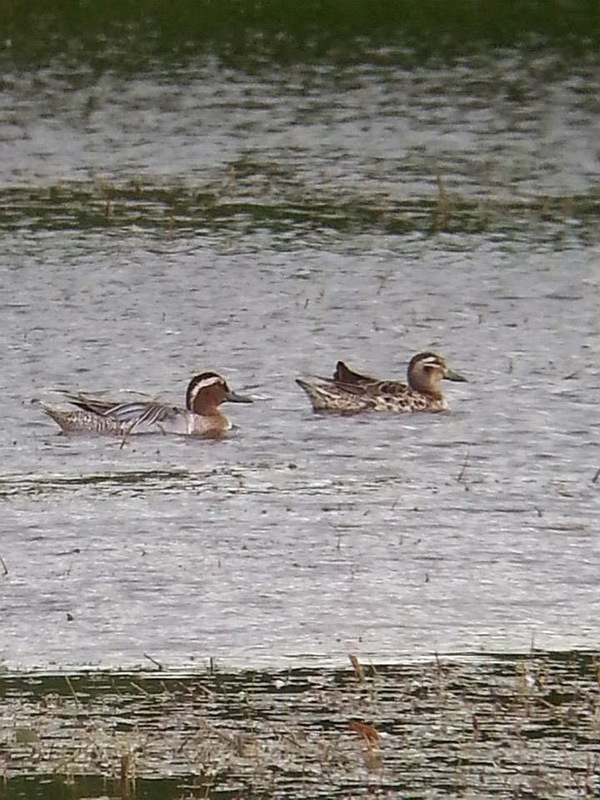 Also seen during the day were a showy pair of Garganey on Johnson's Marsh found during the afternoon where there was also the first Green Sandpiper of the Autumn and a good count of 11 Grey Heron.